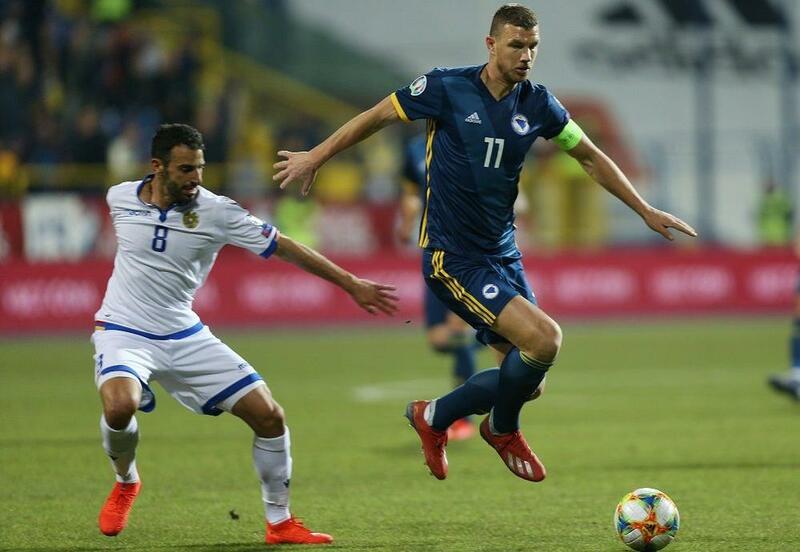 Bosnia and Herzegovina captain Edin Dzeko became the first player from his country to reach 100 international caps in their opening Euro 2020 qualifier against Armenia on Saturday. A brief ceremony was held before the game in Sarajevo to honour the striker, who is also his country's record scorer with 55 goals. The 33-year-old was presented with a shirt bearing the number '100', and a bouquet of flowers. "It's definitely a special match for me, because it's the 100th, and more so at my stadium, where I started my career," said Dzeko, whose first club was Bosnian outfit Zaljeznicar. He made his Bosnia debut on June 2, 2007. Dzeko is currently playing his club football for Italian giants Roma, having previously won two English Premier League titles with Manchester City and a German Bundesliga crown while at Wolfsburg.